Y'all - I am SOOO excited about the Super Bowl this year. Maybe it's because it's our first time to be able to host a Super Bowl Party, maybe it's because Justin Timberlake is returning to the half time show, or maybe I'm just excited to not hear about fantasy football and team stats for 6 months but either way I am ready! This year we are providing drinks and a few snacks for our party and asked that guests bring a dish to share. Even when hosting a potluck style gathering I think it's important for the host to provide a few dishes so that even if someone forgets or doesn't have time to bring a dish there's still plenty of food to go around. Whether you are hosting this year or attending a party and only need to bring one dish I've complied a best of pinterest list to help you out. Bake at 350 for 30 minutes. I actually like to bake in the dish to my crock pot and then keep it in my crock pot to keep warm. If using the crockpot you can just put the mixture in 3 hours before serving and let it warm that way - there's no wrong answer here and we've done both. Since I've made this at least a dozen times I didn't make it during my trial run a few weeks ago when I took pictures for this post but just trust me, it's great. Since we're hosting I knew I wanted to provide more than just a dip so I scoured pinterest for ideas. Now, I've had my fair share on pinterest fails so I felt like a trail run was needed to acquaint myself with the recipe, get my gam plan and decide which dish to make for Super Bowl Sunday. This recipe comes from plainchicken.com. I substituted hot sausage for regular because that's what was available and I put my sausage balls in a mini muffin tin to cook because I felt that that would keep everything neat and keep my balls from rolling when moving in and out of the oven - it worked perfectly! This was an easy dish to make. 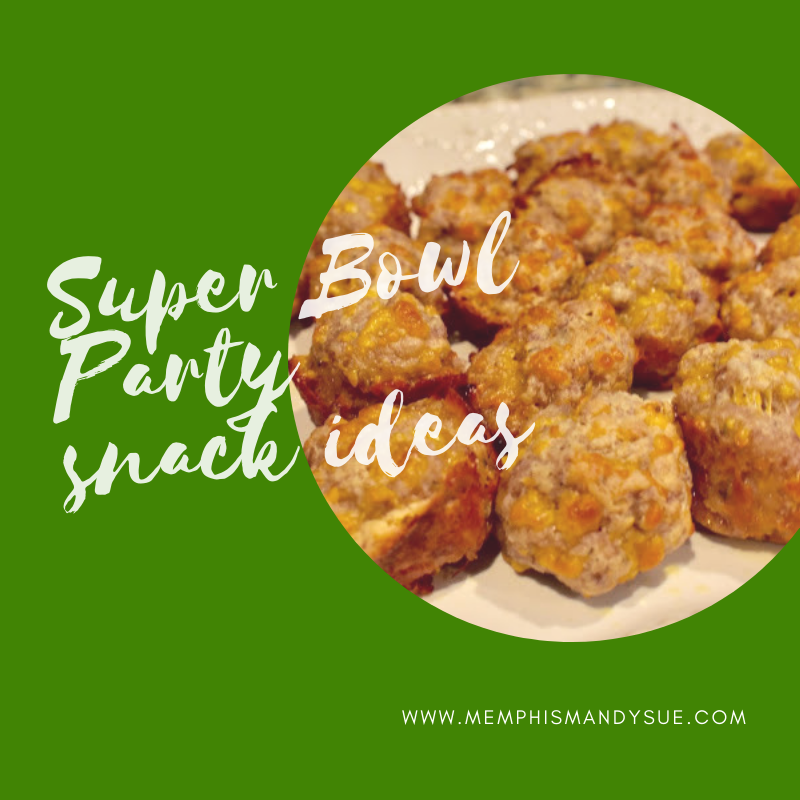 Most sausage ball recipes don't call for cream cheese but I really liked this one, it didn't really overpower the sausage but really helped the balls keep their shape. This recipe comes from delish.com and intimidated me the most - making my own pretzels, yikes! The recipe only calls for 1/4 cup of beer but I think the beer flavor was a little too light - and I don't even like beer and the dip was pretty thick so I recommend using more and I listed 1/2 cup. Although I was worried about this one aside from my egg issue I think it turned out great and it's a dish that looks like you put in a lot of effort. There's several loaded potato dips on pinterest but I liked this one from momendeavors.com because it's a hot dip which I felt was better suited to this time of year as opposed to most of the cold ones on pinterest. This is also another easy one! The original blogger shows it served with waffle fries but I just served with wavy potato chips and it was fine. This was my hubby's favorite dish of the day. I think next time I will add a packet of ranch seasoning to give a little more flavor. This dip from tastesbetterfromscratch.com is a twist on the simple fruit dip. You can also mix the cream cheese with cool whip instead of the whipping cream and sugar so it just depends which product you want to buy. I think 1/2 cup of caramel sauce would be better because this had a really subtle taste but we like caramel in our house. I hope you like cheese because all of these recipes have it but I hope this also saves you a little time when thinking about what to make for this Sunday. Happy Super Bowl!